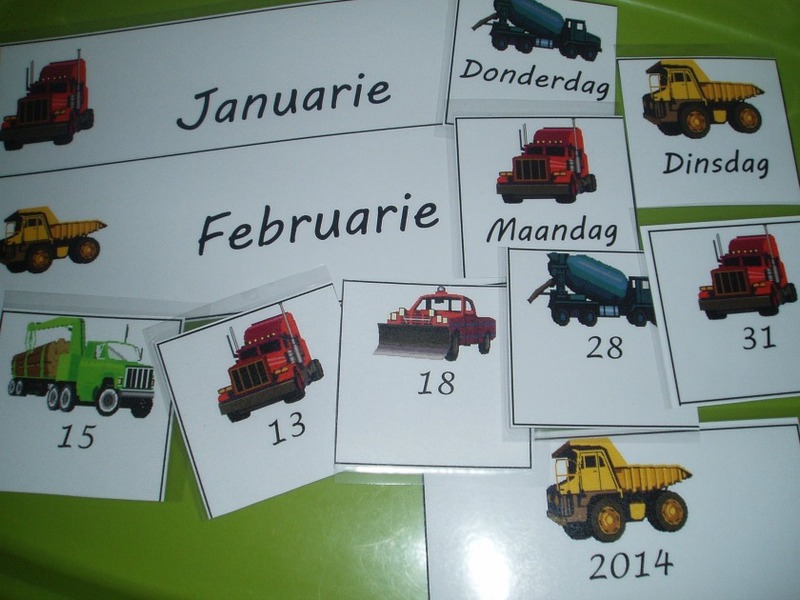 Blue has been asking me for some Truck cards so he can join in with Pink when she does her “school work” so I made him these Truck calender cards. He has been using the date cards (numbers 1- 31) to make a timeline and loves them. I am really not fussed if he gets it wrong I just wanted to encourage his desire to join in with Pink when she does her learning activities. Pink also liked the date cards so I made her some calender cards in Afrikaans to go with. Included are Afrikaans month cards (Jan – Dec), day of the week cards, date cards (1 – 31) -the date cards can be used with any language and year 2014 and 2015 cards. Please feel free to download the cards and use with your kids. But please do not email the documents to others please rather send them my link. This entry was posted in Afrikaans, free printable / worksheet, Homeschooling and tagged Afrikaans words, calender cards, free printables, home ed, homeschooling. Bookmark the permalink. Wow! You have done these so beautifully….well done….a great help for teaching….